Display and serve your dinner choices on either of our attractive dinner plate racks. The Renaissance is a three tiered rack designed of antique plated steel and the Iron Works, also a three tiered plate rack, is manufactured of black powder coated steel. 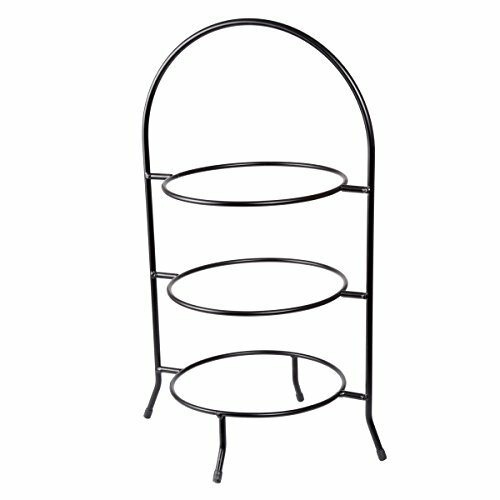 Our Iron Works 3 tiered Pie/Dinner plate rack is ease in carrying and rubber feet to prevent scratching your table surfaces. If you have any questions about this product by Creative Home, contact us by completing and submitting the form below. If you are looking for a specif part number, please include it with your message.